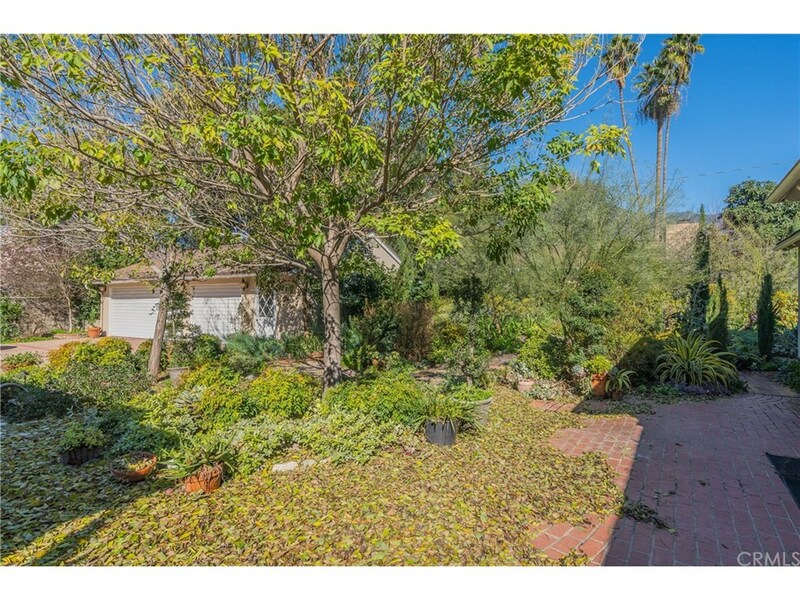 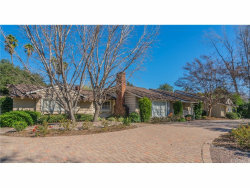 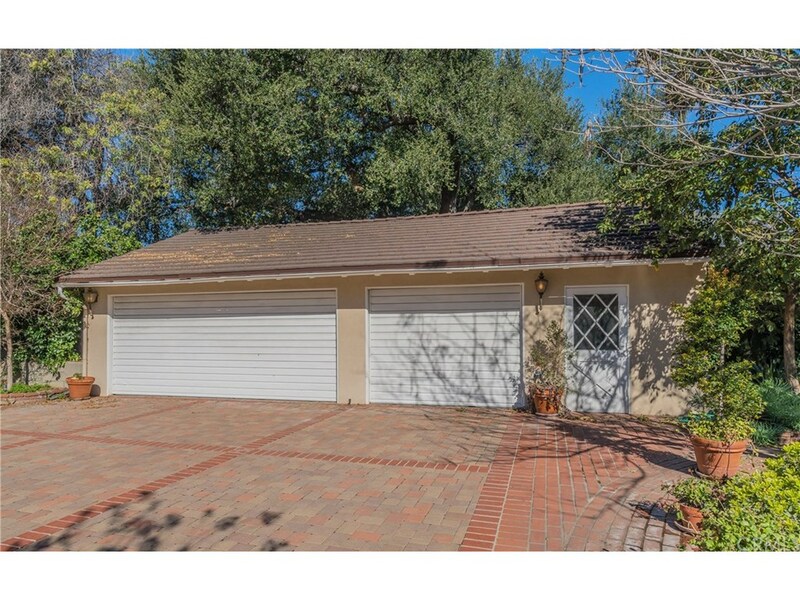 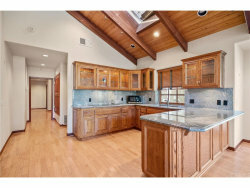 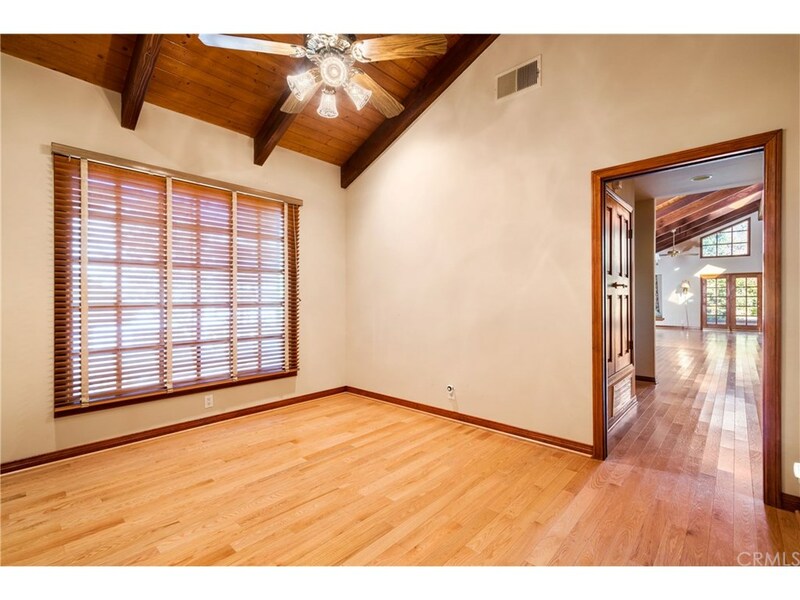 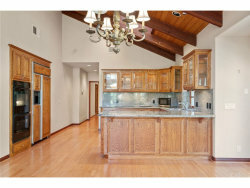 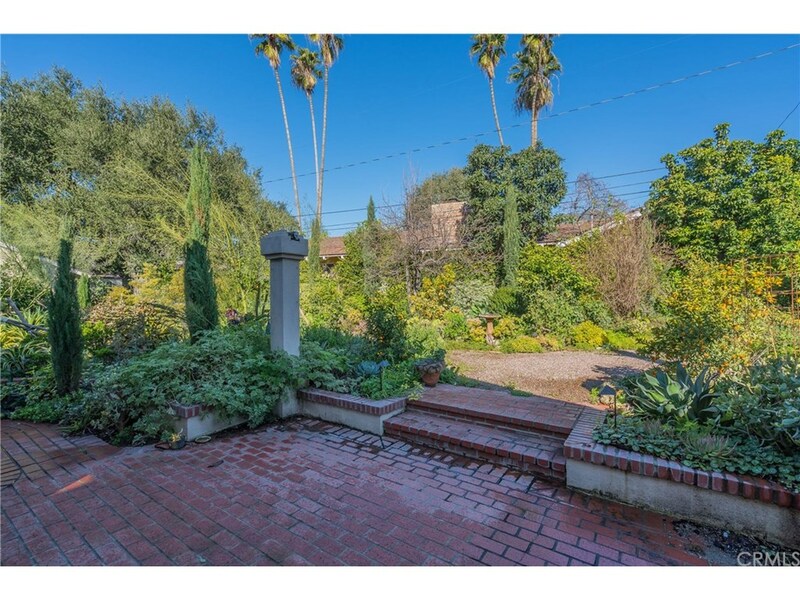 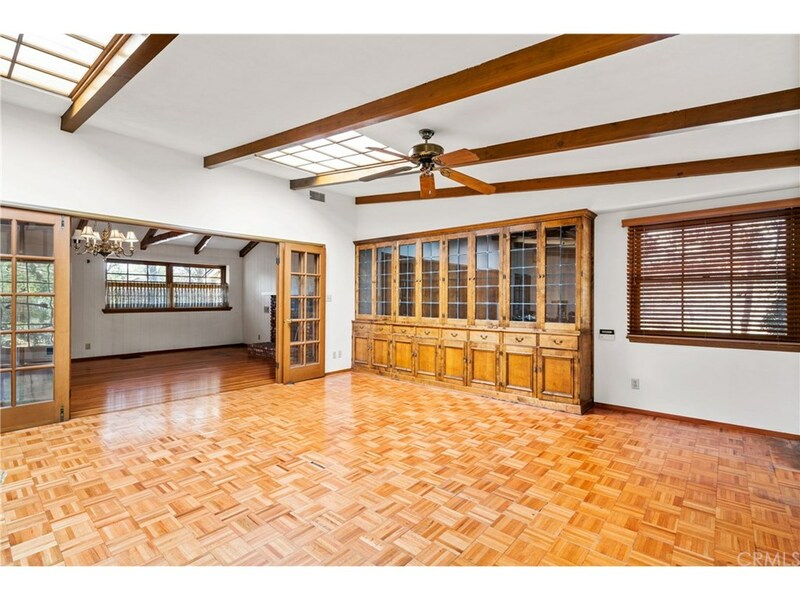 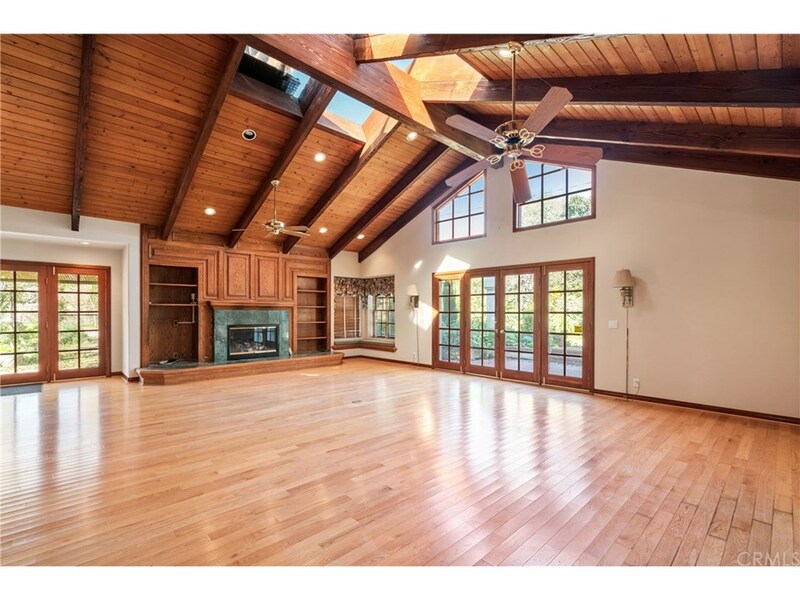 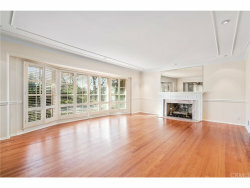 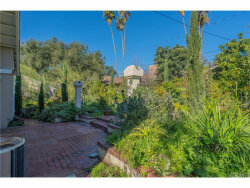 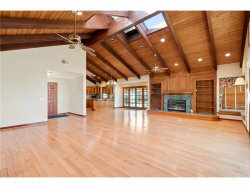 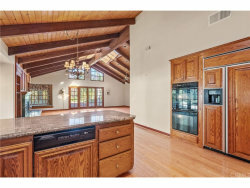 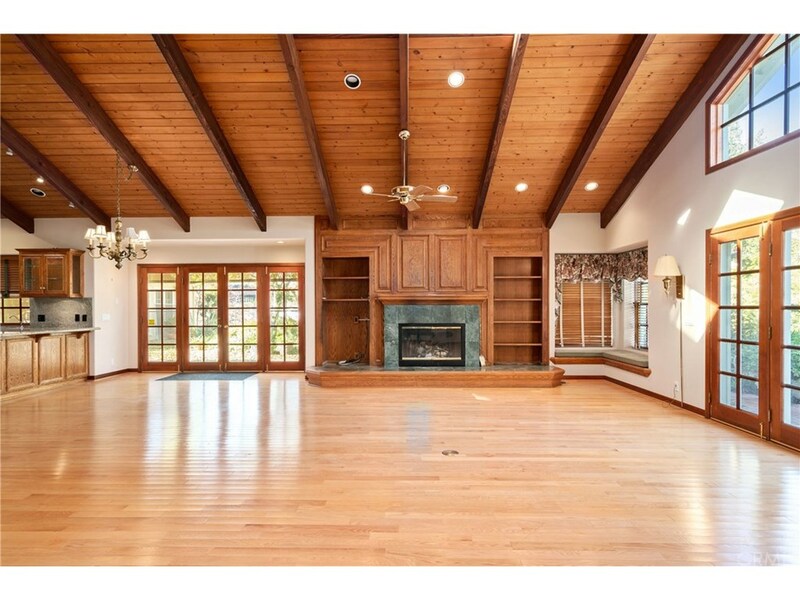 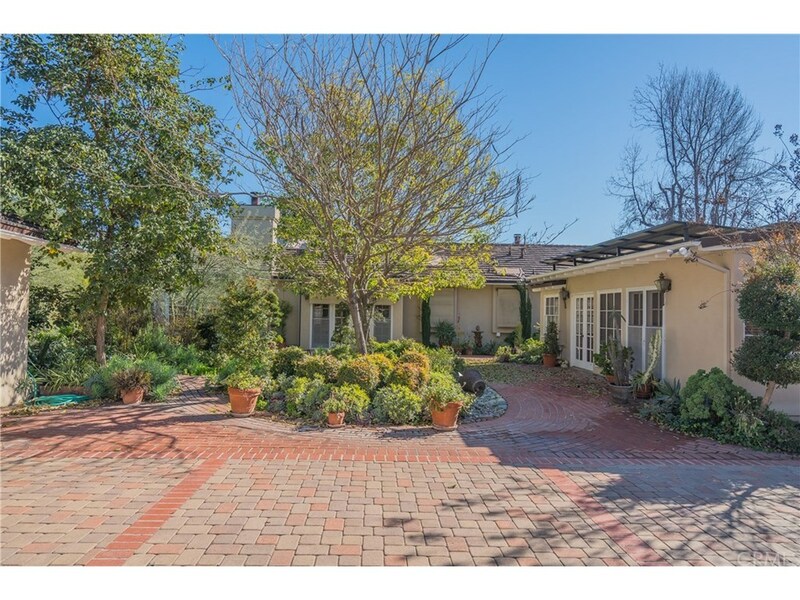 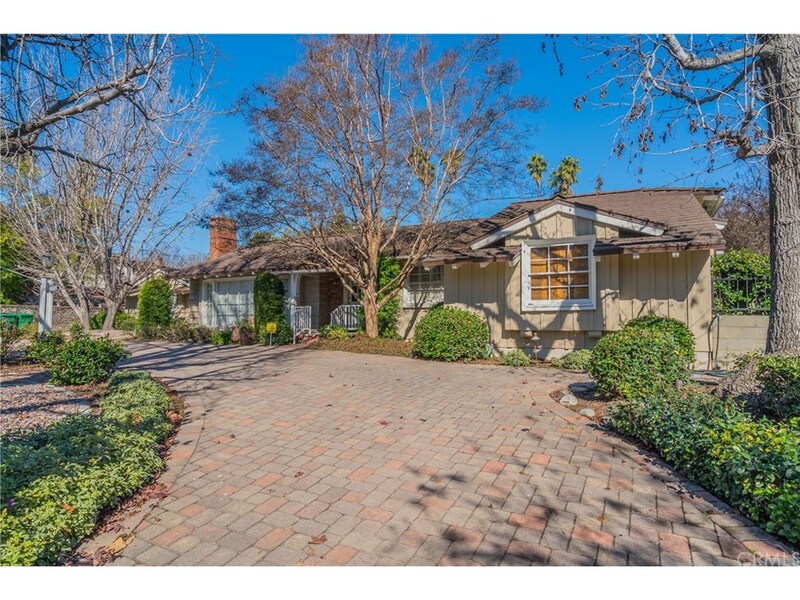 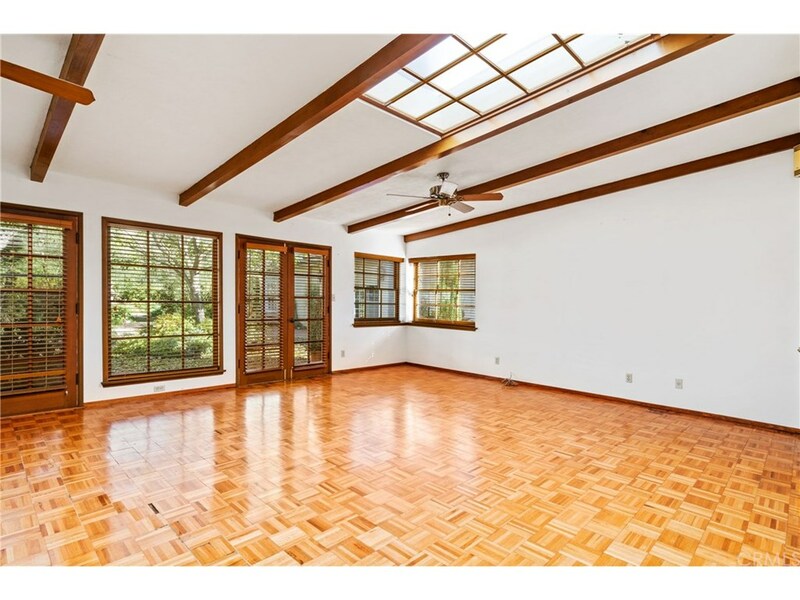 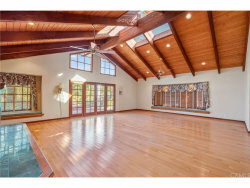 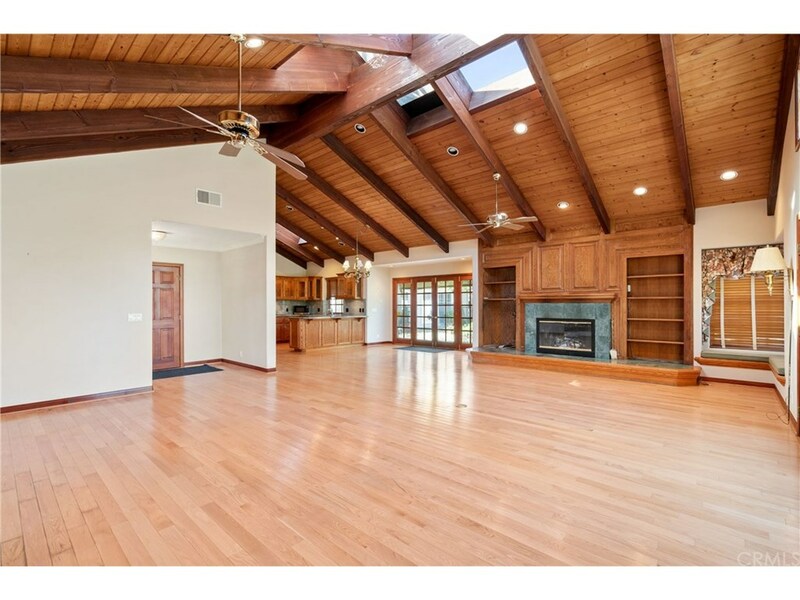 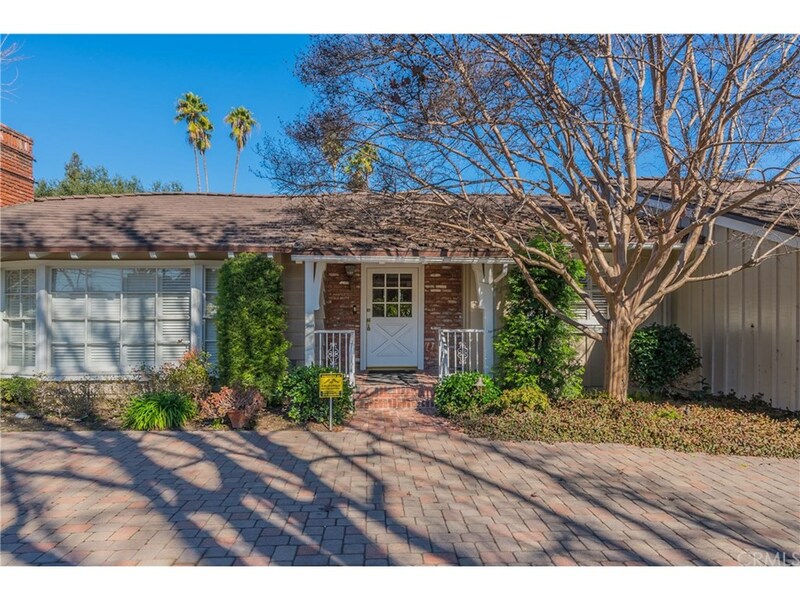 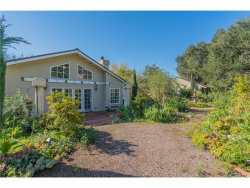 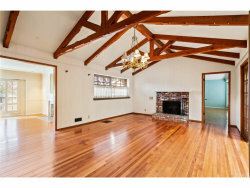 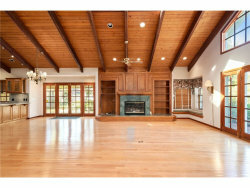 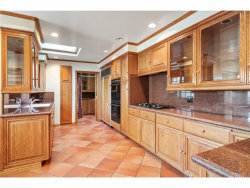 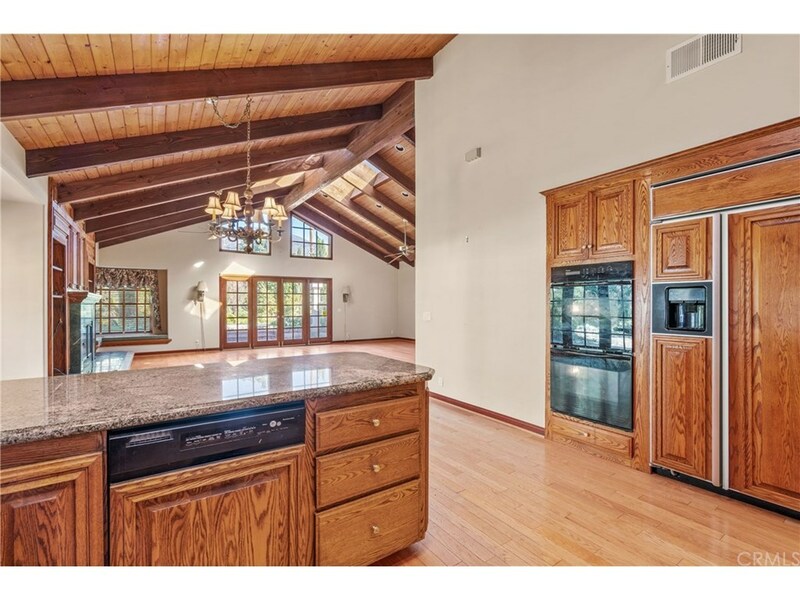 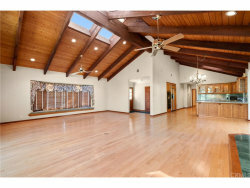 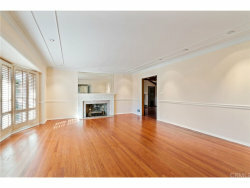 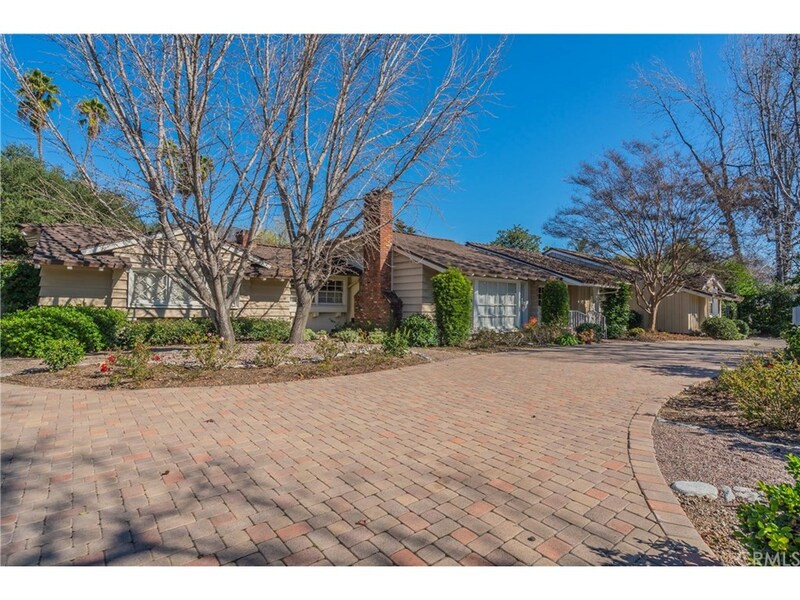 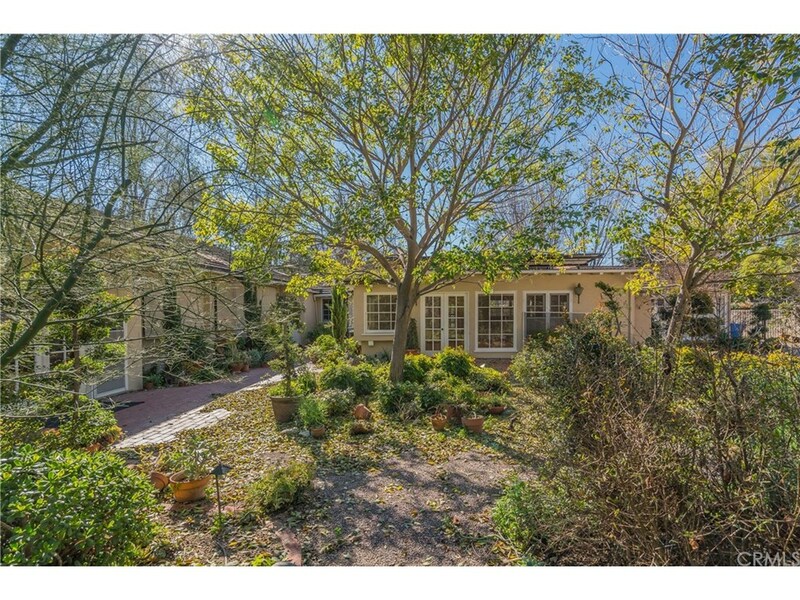 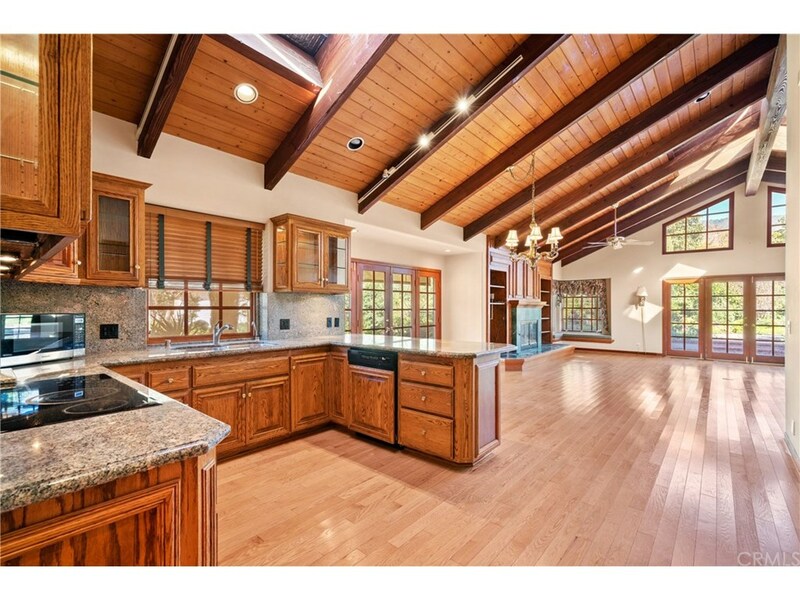 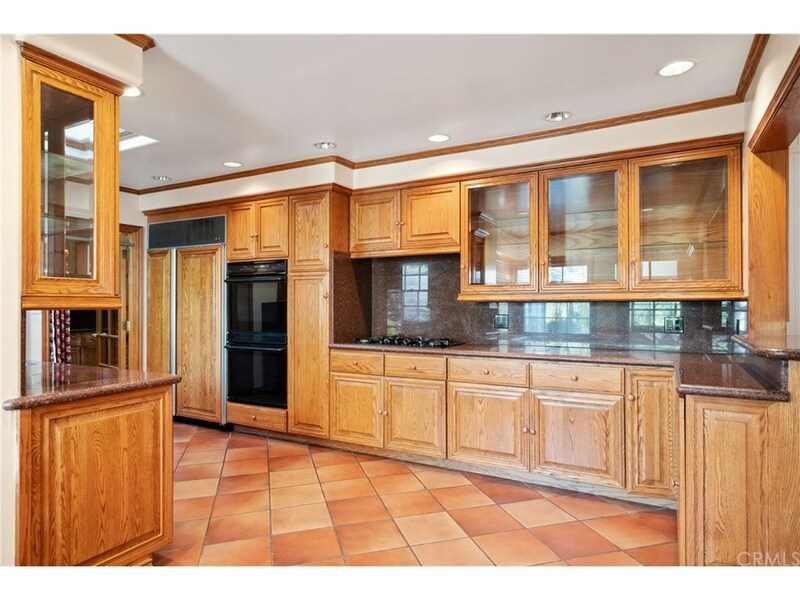 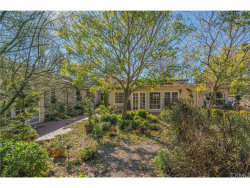 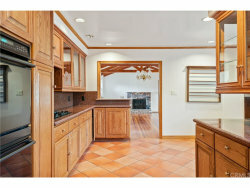 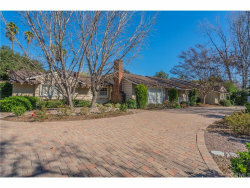 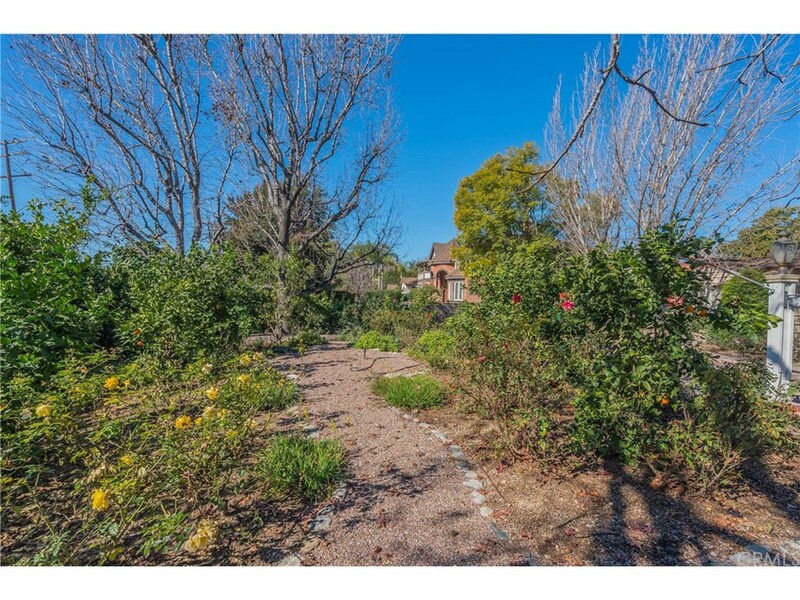 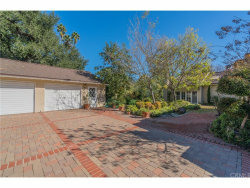 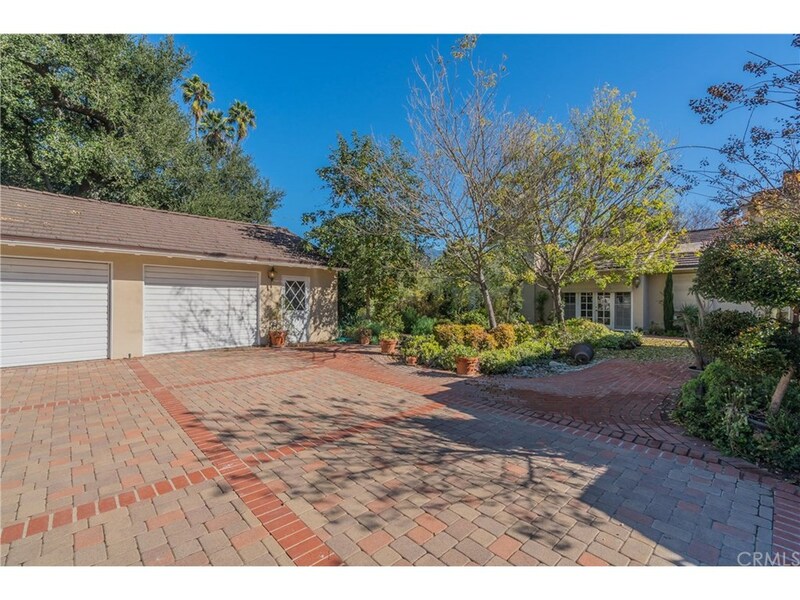 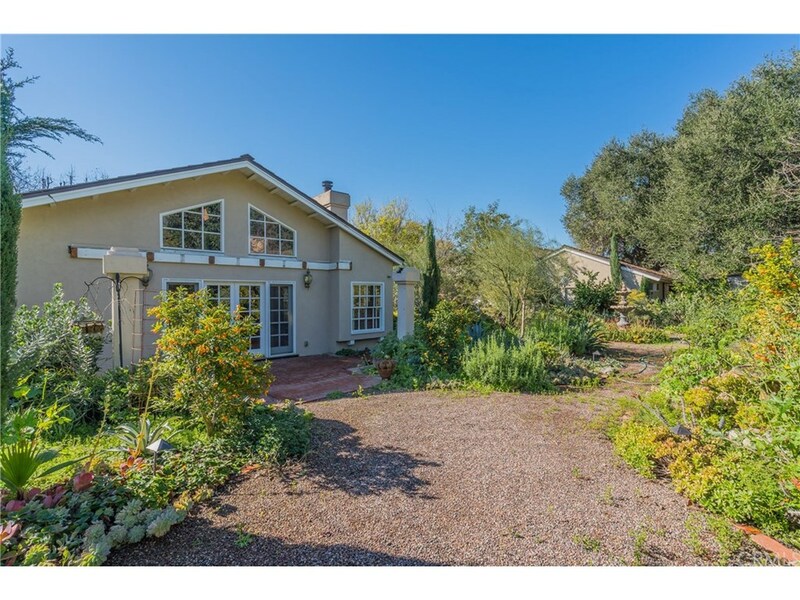 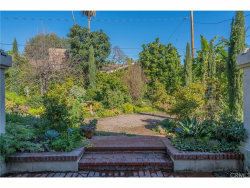 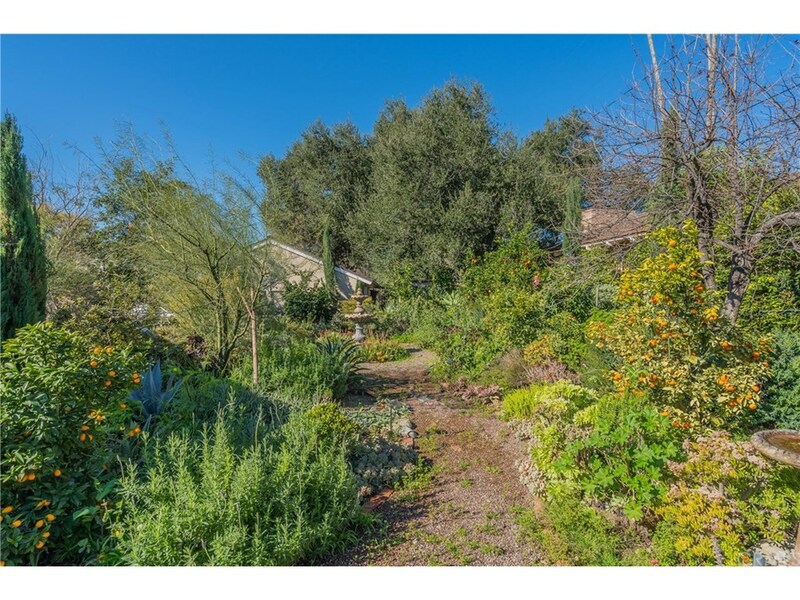 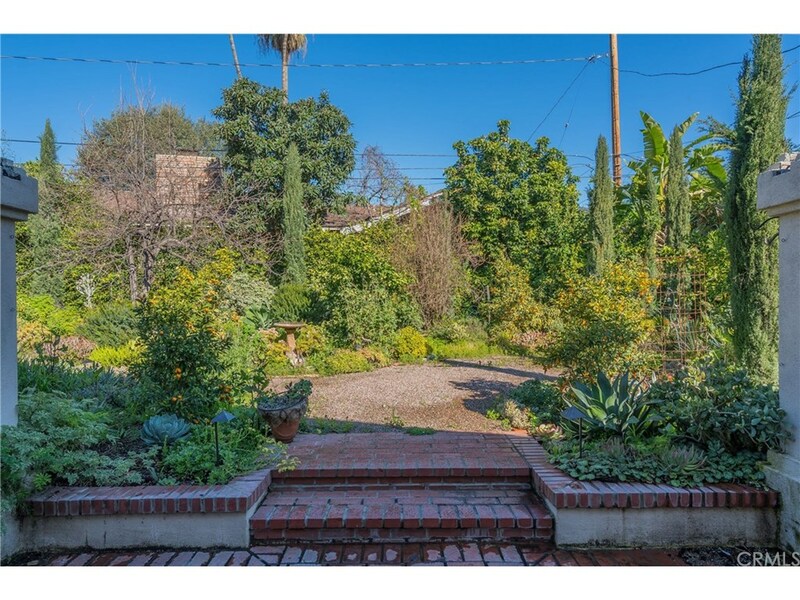 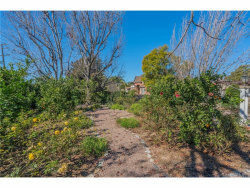 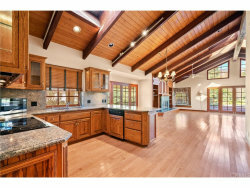 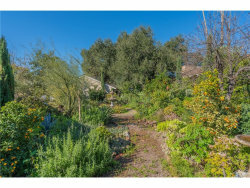 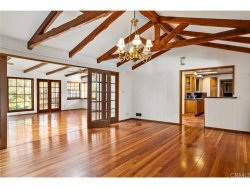 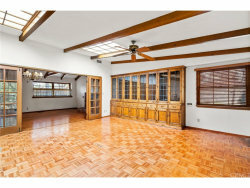 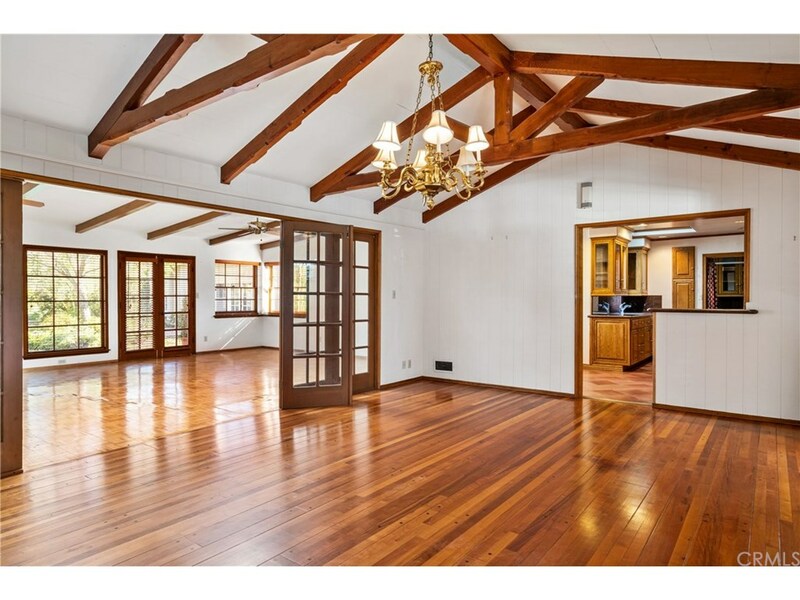 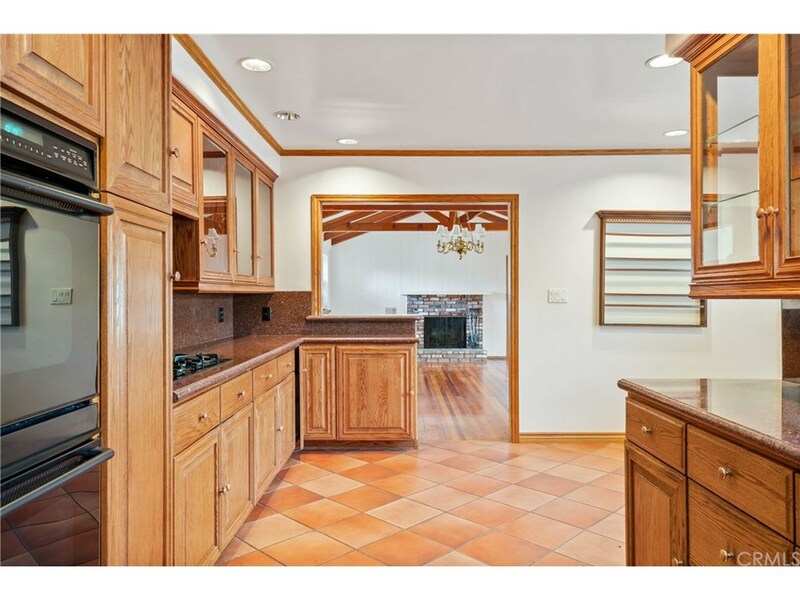 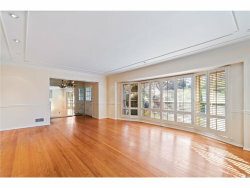 Santa Anita Oaks home with two separate living areas each with their own entrance. 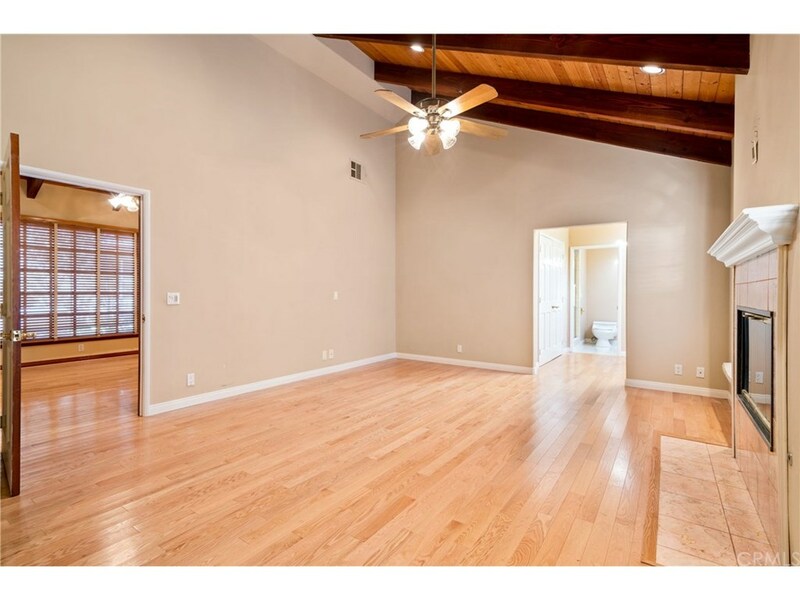 The larger living area features a great room with wood flooring, open beamed ceiling with skylights and recessed lighting, a fireplace, 2 ceiling fans, French doors that open to the backyard garden that’s landscaped with drought tolerant succulents, and fruit trees. 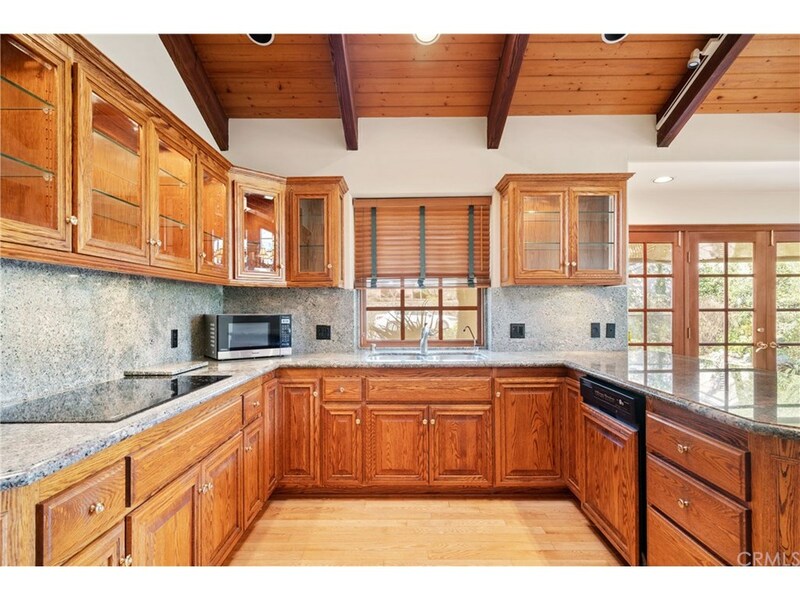 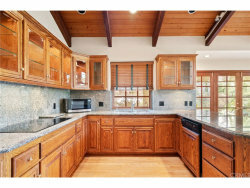 The kitchen has recessed lighting, flat surface counters, custom cabinets, a built-in refrigerator, a 5-burner countertop range, convection and conventional ovens. 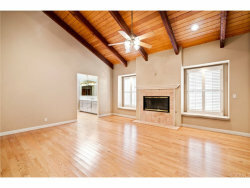 The master suite has a fireplace, sitting area, recessed lighting, ceiling fan, wood flooring. 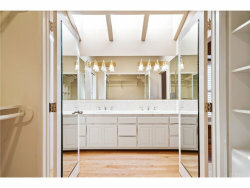 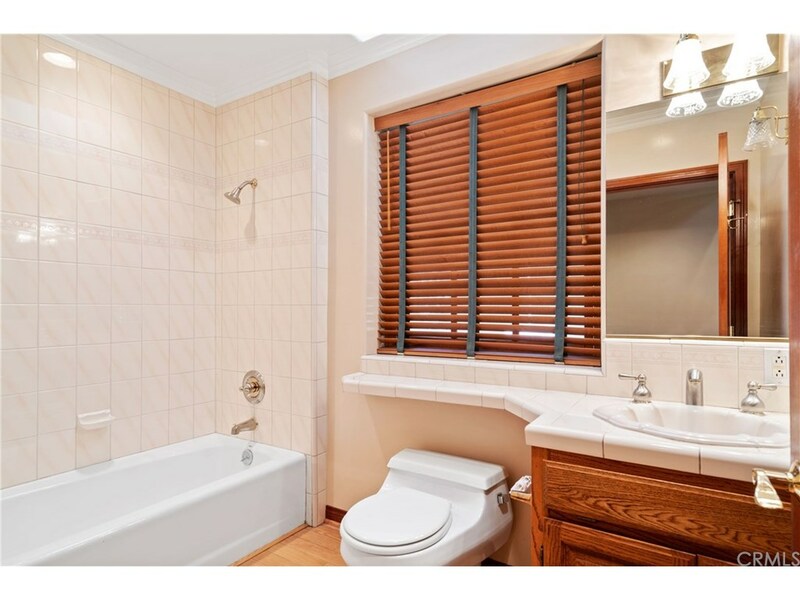 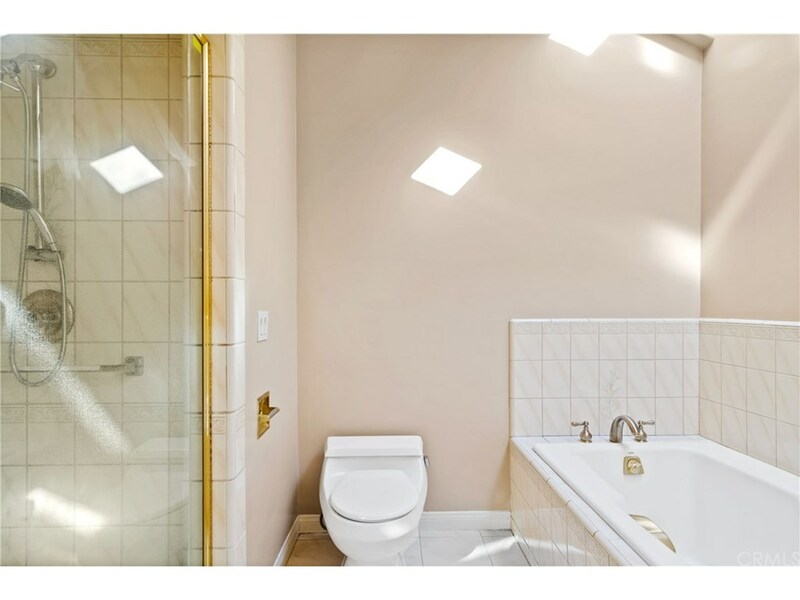 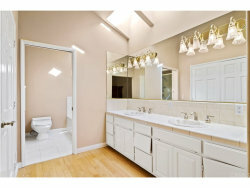 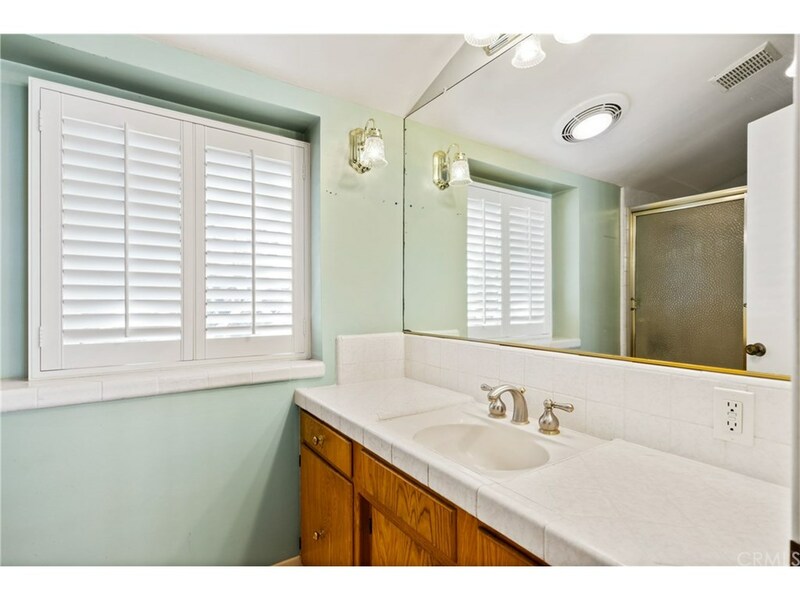 The tile floored master bath is well lit with skylights, double sinks, sunken tub and stall shower. 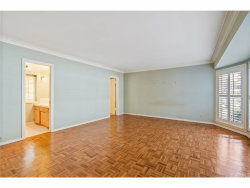 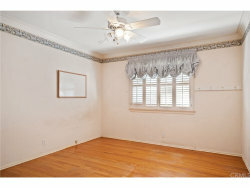 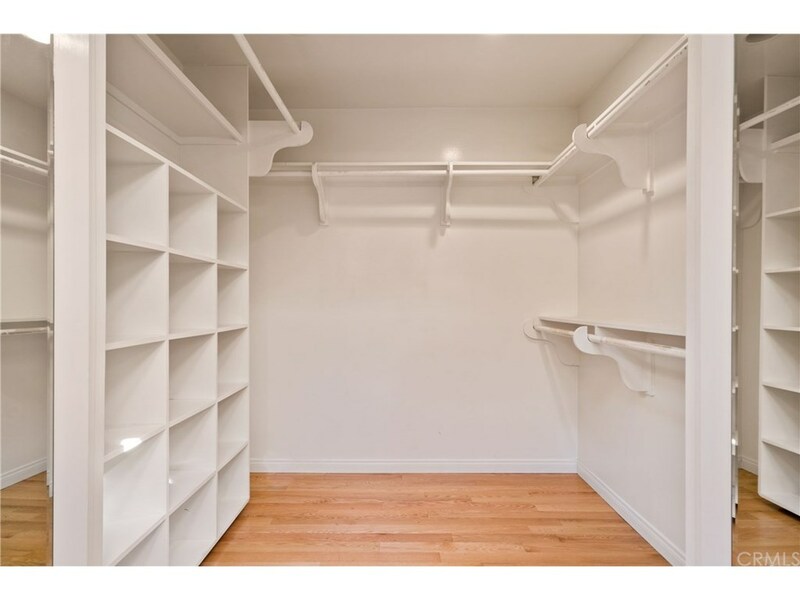 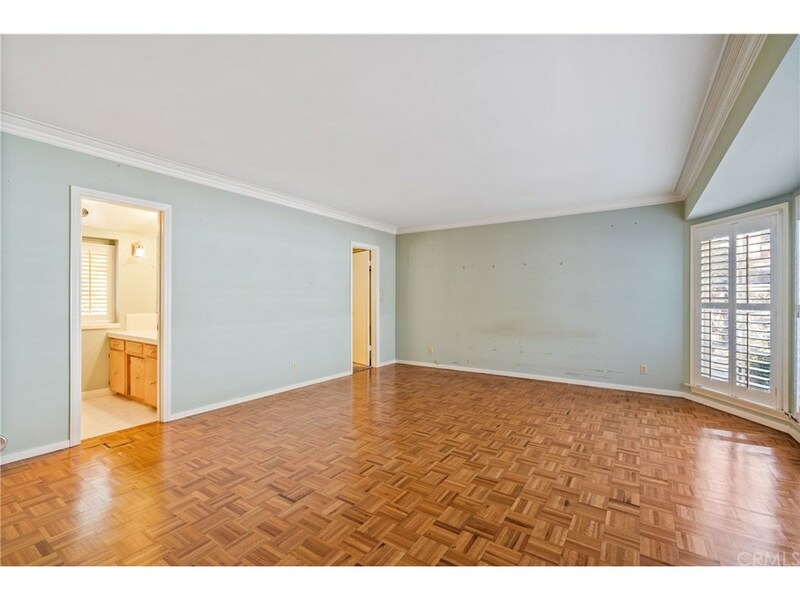 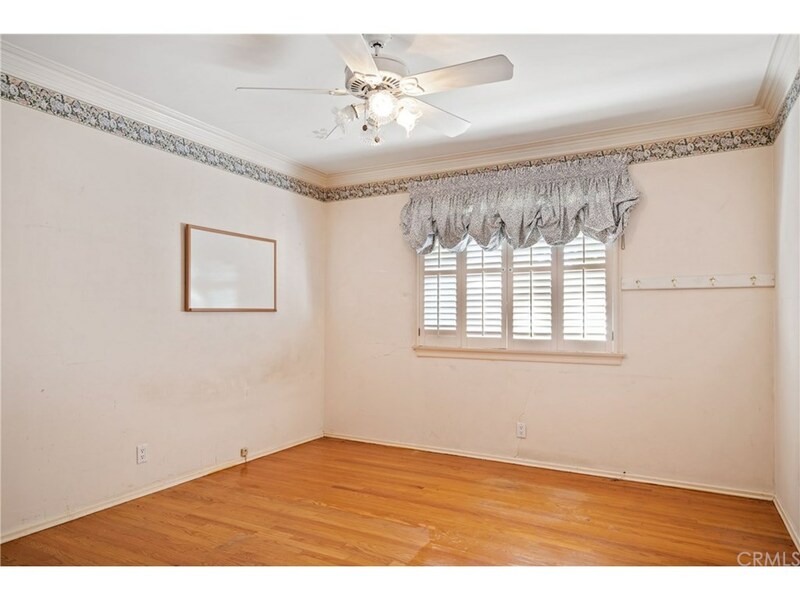 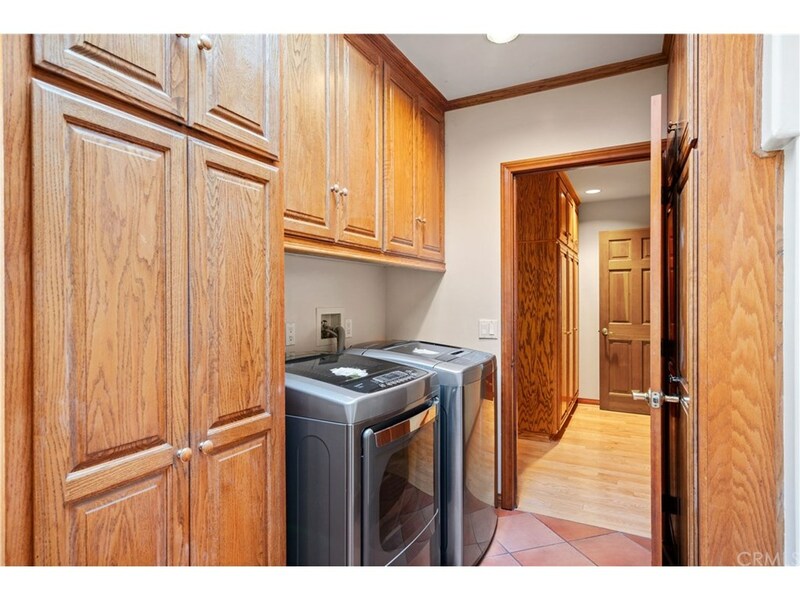 Three additional bedrooms with wardrobe closets, ceiling fans and wood flooring. 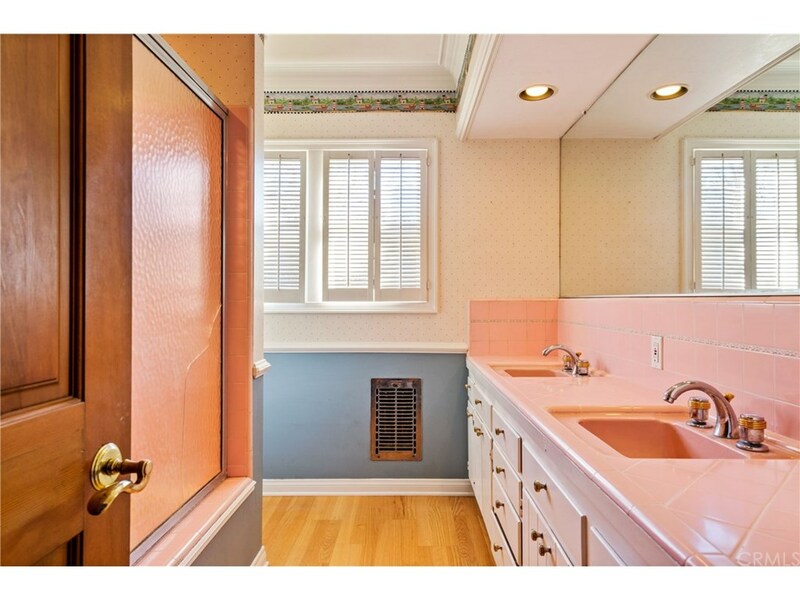 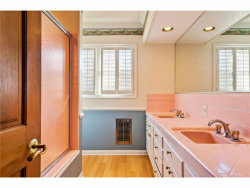 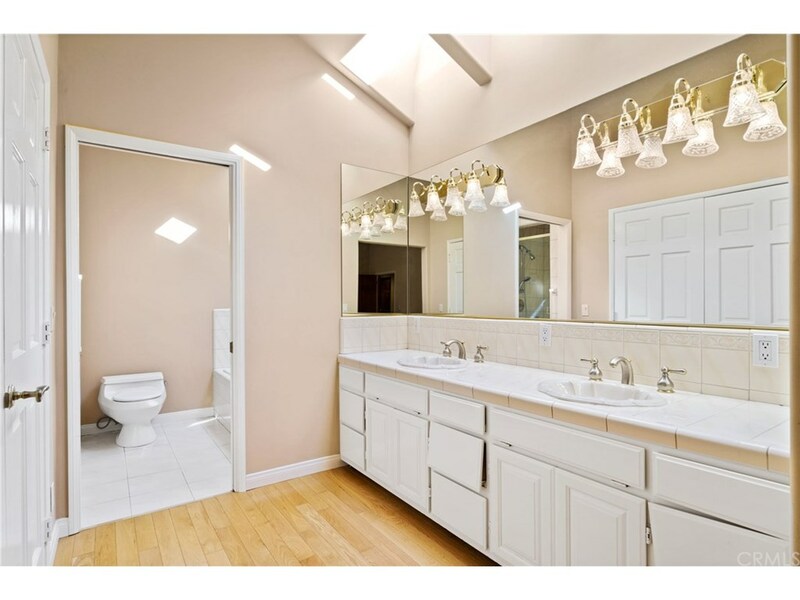 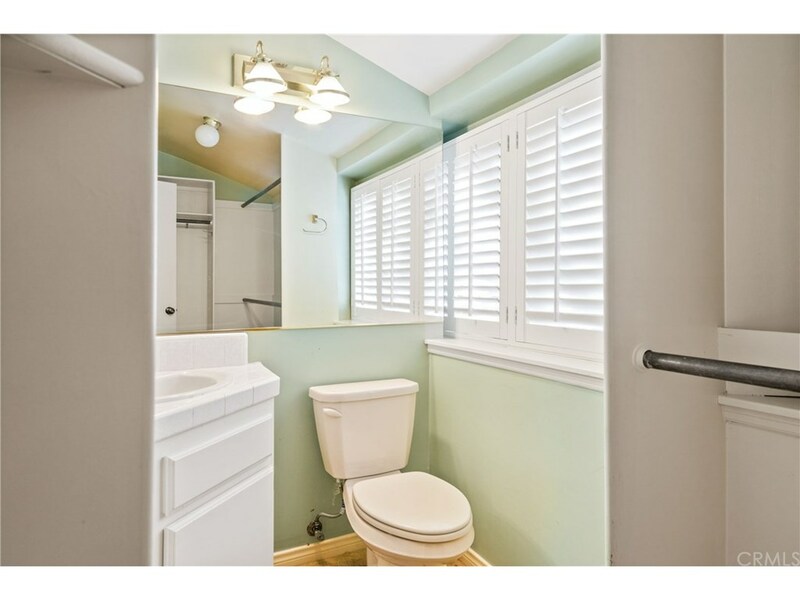 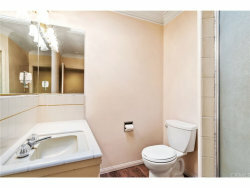 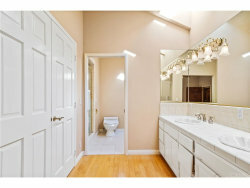 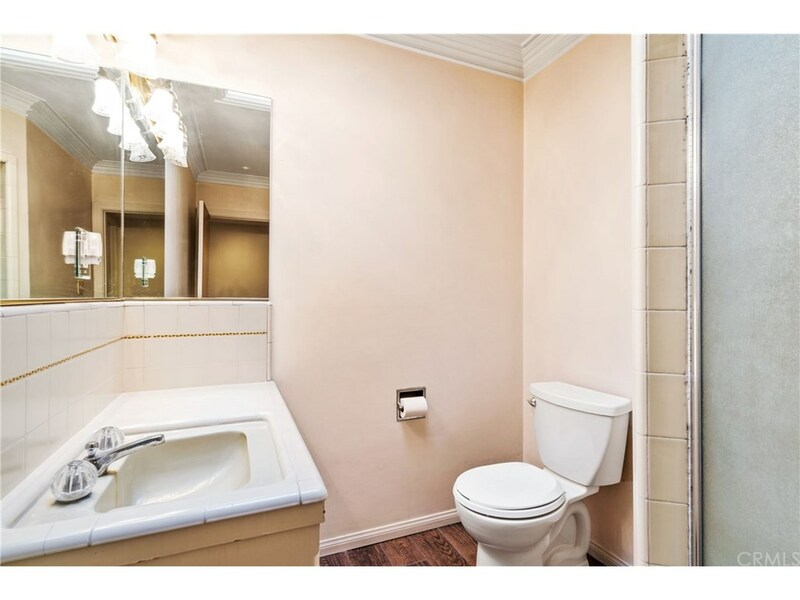 There are three additional bathrooms in this area of the home. 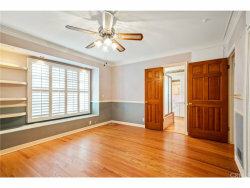 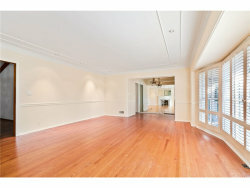 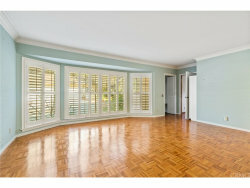 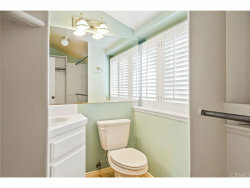 Guest suite features a living room with a fireplace, recessed light, chair railing, crown molding, plantation shutters. 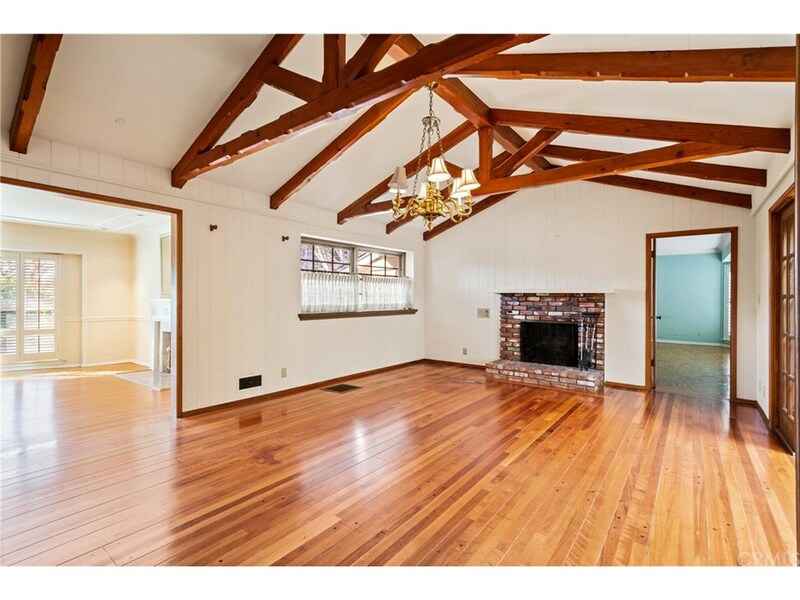 A dining room open beamed ceilings, a ceiling fan and a used brick fireplace. 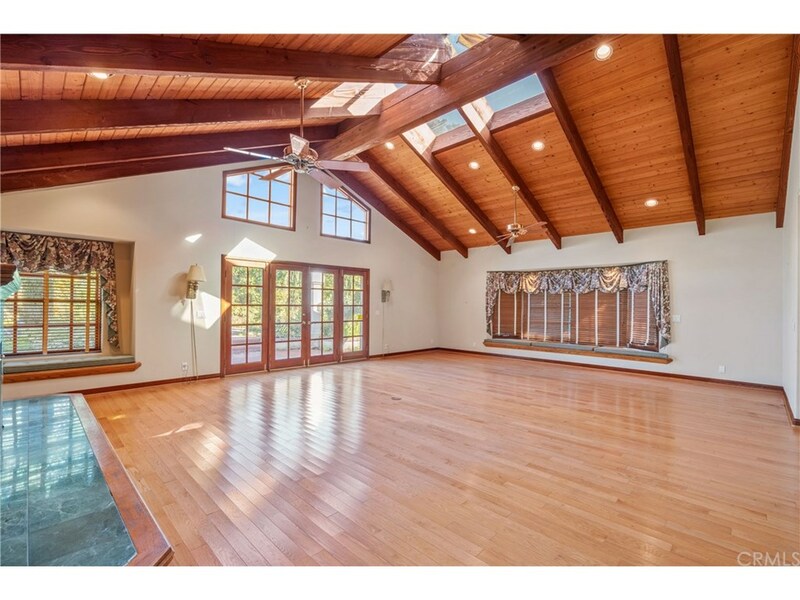 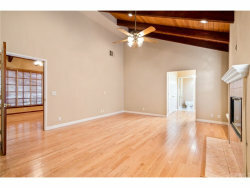 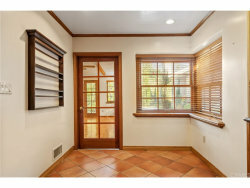 A great room with built in cabinets, two ceiling fans and French doors that open to the backyard garden. 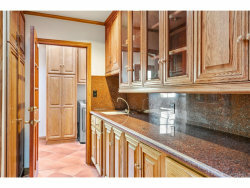 The full eat-in kitchen with custom cabinets, flat surface counters, a 5-burner countertop range, double ovens, Sub-Zero refrigerator, butler’s pantry with washer and dryer. 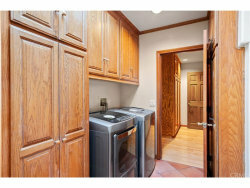 Additional features include a separate laundry room, solar panels, two heating/air conditioning units, a 3-car garage with attached workshop/office.